It's Time For A Church Transition: Should The Pastor Leave? Hand Off? Or Reboot? No church should be so reliant on one person that it’s at risk of collapse when that person leaves. Even if that person is the pastor. I left the first one in the middle of a long-term turnaround, believing it was best for someone else to finish the job I had started. I left the second one early, when I realized I was not the right pastor to help the turnaround happen. In the third (and current) one, we not only made a turnaround, but we’ve reinvented ourselves several times in the almost 25 years I’ve been pastoring here. So how does a pastor know when it’s time to leave, prepare for a hand-off, or walk with them through a rebirth? Here’s what I’ve learned. …your time there is done and a healthy handoff is not possible. This is the least desirable option. Pastoral transitions are dangerous and traumatic times for churches and pastors. Other than the church planting phase, more churches close due to pastoral transition than for any other reason. And more pastors get discouraged and leave the ministry during between-church transition periods than any other season. But when you’re done, you’re done. Just make sure you’re really done. …your time there is done and a healthy handoff is possible. From the moment they arrive until the moment they’re gone, every pastor should prepare themselves and the church for their eventual departure. 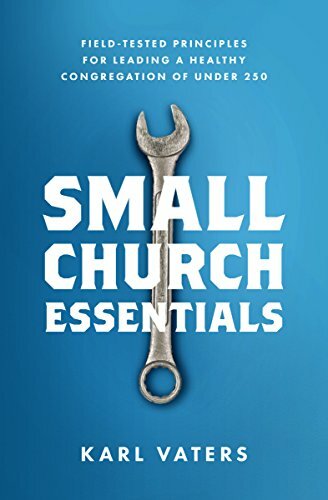 Every pastor should prepare themselves and the church for their eventual departure. This usually happens in one of two ways. Either by raising someone up who can take over as pastor, or by training the church leaders in the principles for finding a new pastor. What a great way to leave a legacy. To see the church get stronger and healthier without us. Unfortunately, this doesn’t happen very often. But it should. No church should be so reliant on one person that it’s at risk of collapse when that person leaves. Even if that person is the pastor. A huge part of the pastoral mandate to “equip the saints to do the work of ministry” (Eph 4:12) is to prepare them to carry on stronger and better after we’re gone.